The following is a guest post from Fabian Kruse. He presents a case study of a once highly-regulated space becoming a public playground, and how trusting people to organise themselves doesn’t necessarily lead to chaos. Having served more than four million travelers per year in the early 1970s, Berlin’s Tempelhof airport slowly lost importance. While it remained popular among more affluent travelers due to its central location, it only dispatched 350,000 passengers per year by the mid-2000s. Two larger airports had become more important, and construction work had begun to expand one of them into the single airport of the city. 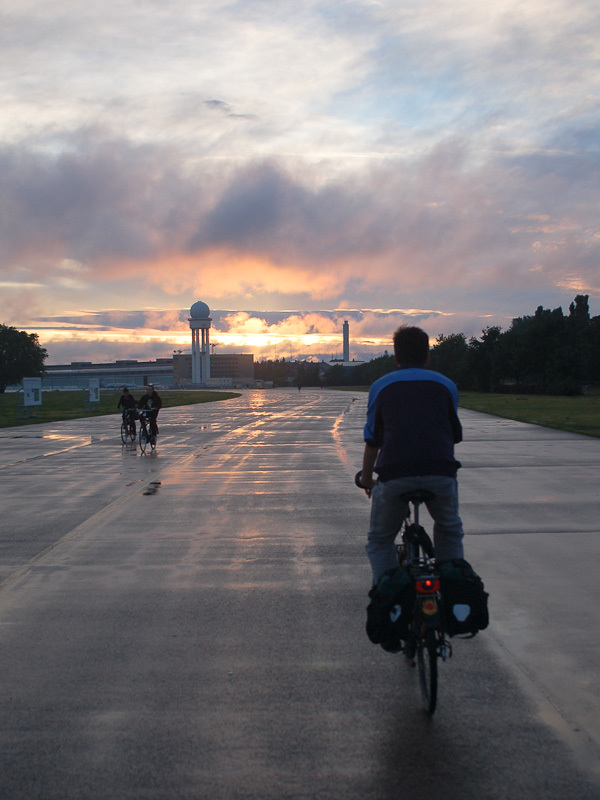 And so the authorities decided to shut Tempelhof down for good. The closure of Tempelhof led to an interesting question: What do you do with 300 hectares of finest real estate if you’re one of the brokest cities in the country? Surprisingly, instead of selling the prime premises right away, Berlin decided to temporarily open up the compound to the public. And while plenty of plans for subsequent usage have since been made (and discarded), the old airport has become what urbanist Nikolai Roskamm called a “utopia of nothingness”: a large-scale social experiment in the middle of the city, powered by slow bureaucracy, Berlin’s DIY culture, and a good dose of friendly anarchism. Since the opening of the Tempelhof field to the public in 2010, thousands of citizens have not only visited the premises, but taken possession of them. People started cultivating lettuce and tomatoes. They went there to skate, to bike, to hike, to watch birds. They enjoyed relaxing in the sun. They organised events and courses and parties. And as long as they left the field at dusk, the authorities mostly left them alone. While some of these projects have been put into a legal framework by now, much of what we see on Tempelhof is happening without any license. It’s happening without cover charges, without feasibility studies, and without land development plans. The Berliners just began to use the empty space as if it was their garden.